SH.Italia, your ideal partner in Italy! All the world is worth to be visited and discovered. But Italy has been particularly blessed by God and offers such a variety of scenarios and different landscapes that nobody, not even the most sophisticated traveler, can be indifferent to so much beauty. We organize incentive programs, events, meetings, conferences, seminars, product launches and presentations Advertising, & nbsp; itineraries of art and culture, food and nature trails. Good relationship with our suppliers, creativity and high professionalism is vital in our business, but to provide successful events a synergic cooperation with our clients is the priority. Work closely with our customers, develop a common strategy to fulfill all program requirements and to meet guests’ expectations is the key for a winning program and the base of our company philosophy. Our professional team combines the long years experiences, the technical know how and the creativity with all ITALIAN emotions. Caput Mundi and Eternal City, the most important expression of the historical, artistic and cultural heritage of the Western European countries. Milan offers many beautiful and stylisch aspects , city of fashion and glamour with also some surroundings that are a must for those who want to carry a memory of an unforgettable journey. Elegant, precious, inimitable, entertaining, romantic: this is Venice, jewel of the Venetian and Italian tourist scene. A walk through the streets of Florence is the gateway to a fascinating and mysterious past; a city that is full of art and history. Bologna, embraces everybody , greedy and generous as its own dialect, its historic center is particularly well-preserved and keeps the oldest Italian university. Naples is one of the largest and most beautiful cities of the Mediterranean areat, its beauty and culinary traditions are known and appreciated throughout the world. Portofino leads itself to extraordinary itineraries that allow to combine the gastronomic traditions of Liguria with the beauty of the landscape. Turin, is defined "The city with the most beautiful natural position in the world ', one of the major artistic scientific and cultural city of Italy. Sea, sun, history, culture, music and fun are the main elements of this region with ancient traditions and an effervescent nightlife. 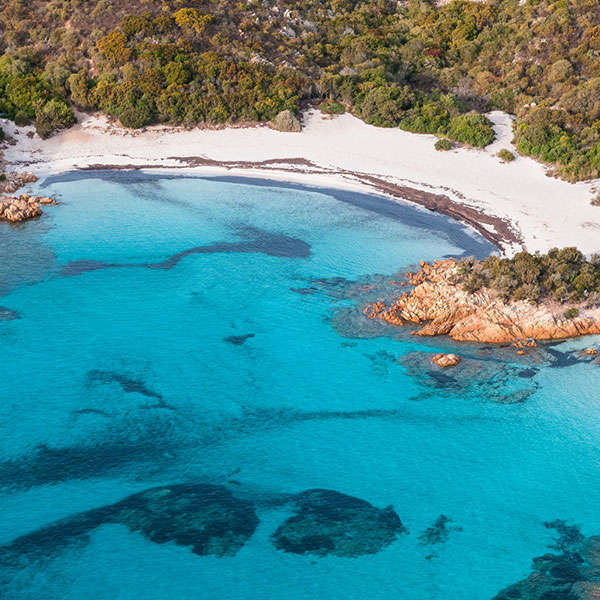 Sicily manages to combine history, sea and nature, and thanks to its particular locations, the island belongs the most popular destinations in Italy. The sea and the fishing boats, churches and elegant buildings, the colours of the artisan workshops, the smell of homemade pasta and freshly baked bread are typical aspects of this region. Perugia is a little jewel, preserves artistic and monumental treasures, a young city thank to the international University and where the most important jazz Festival takes place once a year. SH.ITALIA in its capacity as data controller states that the personal data are regarding the contract / task or for the interests envisaged by the agreement. 5 of EU Regulation 679/2016, in a lawful manner, according to the principles of suitability, adequacy, confidentiality and protection established by the Regulation. Further information on the rights of the data subject and the methods for keeping personal data are considered in the information referred to in Articles. 13 and 14 of EU Regulation 679/2016 delivered to each interested party and in the treatment registers distinguishing data type, risk analysis and preventive measures taken. The data controller assumes all responsibility for the aforementioned principles, the contents and the requirements of the European Regulation for the protection of personal data and for the keeping and management of such data. h) the existence of an automated decision-making process, including the profiling referred to in Article 22 (1) and (4) and, at least in such cases, significant information on the logic used, as well as the importance and the expected consequences of such processing for the interested party. If personal data are transferred to a third country or to an international organization, the data subject has the right to be informed of the existence of adequate safeguards pursuant to Article 46 relating to the transfer. the data subject is also entitled to obtain a copy of the personal data being processed, provided that the request does not affect the rights and freedoms of others. (f) the personal data have been collected with regard to the information society service offer referred to in Article 8 (1) of the GDPR. e) for the assessment, exercise or defense of a right in court. d) the data subject has objected to the processing pursuant to Article 21 (1) pending verification of the possible prevalence of the legitimate reasons of the data controller with respect to those of the data subject. If the processing is limited in accordance with paragraph 1, such personal data shall be processed, except for storage, only with the consent of the data subject or for the establishment, exercise or defense of a right in the judicial or to protect the rights of another natural or legal person or for reasons of the public interest of the Union or of a Member State. The data subject who has obtained the limitation of processing pursuant to paragraph 1 shall be informed by the controller before the limitation is revoked. The controller shall inform each of the recipients to whom the personal data have been transmitted of any correction or cancellation or limitation of the processing carried out in accordance with Article 16, Article 17 (1) and Article 18, unless proves impossible or involves a disproportionate effort. The data controller informs the recipient of these recipients if the data subject requests it. In exercising its rights to data portability pursuant to paragraph 1, the data subject shall have the right to obtain direct transmission of personal data from one controller to another, if technically feasible. The right referred to in paragraph 1 must not affect the rights and freedoms of others. You have the right to object at any time, for reasons connected with your particular situation, to the processing of your personal data pursuant to Article 6, paragraph 1, letters e) of), including profiling on the basis of these provisions. The data controller refrains from further processing personal data unless he demonstrates the existence of binding legitimate reasons to proceed with the processing that prevail over the interests, rights and freedoms of the data subject or for the assessment, exercise or the defense of a right in court. If personal data are processed for direct marketing purposes, the data subject has the right to object at any time to the processing of personal data concerning him / her for such purposes, including profiling in so far as it is related to such direct marketing. If the data subject objects to processing for direct marketing purposes, personal data are no longer processed for these purposes. The right referred to in paragraphs 1 and 2 is explicitly brought to the attention of the data subject and is clearly and separately presented by any other information at the latest at the time of the first communication with the data subject. In the context of the use of information society services and without prejudice to Directive 2002/58 / EC, data subjects may exercise their right to object by automated means using technical specifications. Where personal data are processed for the purposes of scientific or historical research or for statistical purposes in accordance with Article 89 (1), the data subject shall have the right to object to the processing of personal data for reasons connected with his particular situation. concerns, unless the processing is necessary for the performance of a task in the public interest. 1. The data subject shall have the right not to be subjected to a decision based solely on automated processing, including profiling, which produces legal effects affecting him or which significantly affects his person in a similar manner. c) is based on the explicit consent of the interested party. 3. In the cases referred to in paragraph 2 (a) and (c), the controller shall implement appropriate measures to protect the rights, freedoms and legitimate interests of the data subject, at least the right to obtain human intervention from the controller , to express its opinion and contest the decision. 4. The decisions referred to in paragraph 2 shall not be based on the particular categories of personal data referred to in Article 9 (1), unless application of Article 9 (2) (a) and (g), and adequate measures to protect the rights, freedoms and legitimate interests of the data subject are not in force.